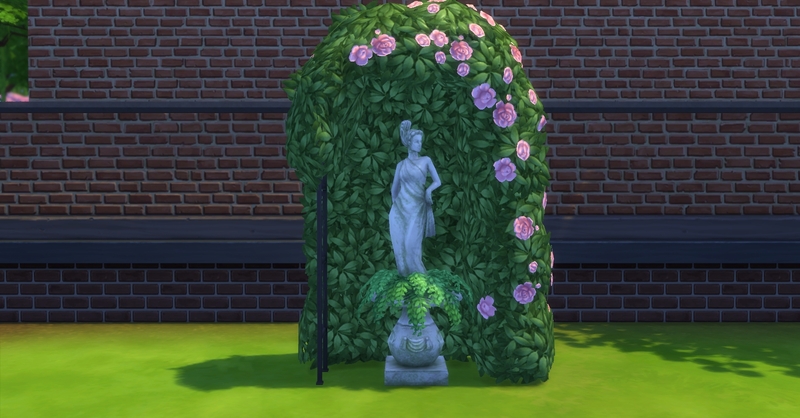 I was just building and saw the Where The Green Fern Grows garden object. 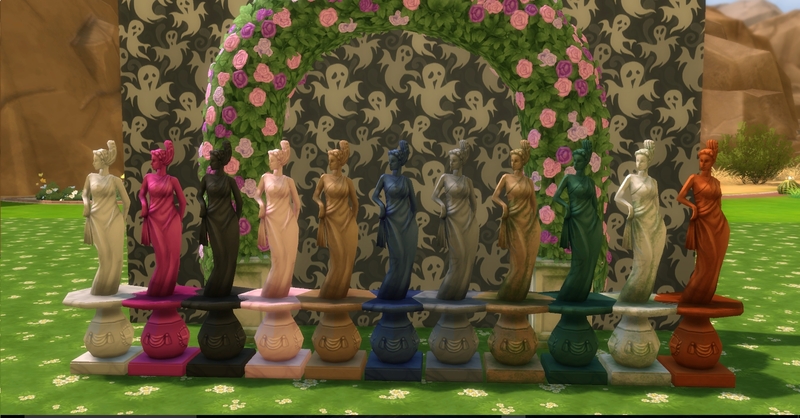 I was impressed with the lady statue but that huge flower round it was not really my liking. 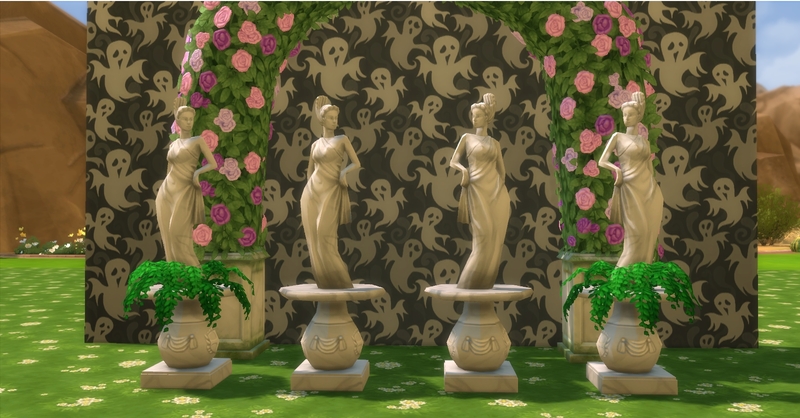 but in love to use that statue alone i decided to get rid of all the flowers to reveal only the statue. I have made it in two versions and mirrored each to have a right and left version. 184 people have said thanks to AdonisPluto for this download.